I have to write of my ignorance here. I have not heard of this before. Are we to think of this as being like a tee shirt that Jesus would have worn under his robe during the period of the Passion and all the related torture he went through until the actual Crucifixion ? I think I know of the Robe he wore as my older brother (God bless his soul) was in a high school play in a public school back late ’40s or early ’50s titled “The Robe”, I recall it had something to do with Jesus Christ is all I know. Well, this is not “The Robe” (the red or purple garment that the soldiers put on Jesus in their cruel game of Basileus), but the seamless garment (possibly a priestly garment like the Temple priests wear while offering sacrifices in the Temple) that the soldiers did not want to split between them because it was so fine, so they drew lots (gambled) for it. Then I returned to attend a conference. in 1918, at the age of 31.
graduated from Colombia in 1908.
poet in her own right. 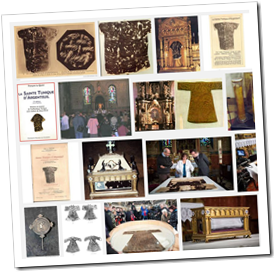 la vérité sur les reliques du Christ, parue en 2000.
les groupes sanguins, les empreintes ADN, etc. >Est-ce le même homme qui a saigné sur ces linges ? comme le veut la Tradition ? déjà auteur de deux ouvrages sur les reliques de la Passion. 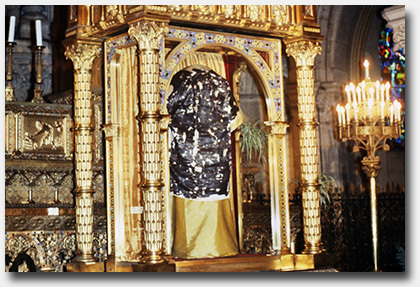 the truth about the relics of Christ, published in 2000.
blood types, DNA fingerprinting, etc. >Is this the same man who bled on these cloths? already author of two books the relics of the Passion. Piero, Thank you for the Joyce Kilmer poetry. The Great War of 1914-18 for some reason gave rise to a considerable amount of excellent and sensitive war poetry by various poets. Curiously this did not seem to be the case for World War II 1939-45, particularly in Britain. But you might like to check out “Lessons of the War” a sequence of poems set in a training barracks by Henry Reed and available on the web. ‘Naming of Parts’ forms Part I of a six-poem collection called Lessons of the War, each a parody of British Army training during the Second World War. There are two juxtaposing voices in this poem, the first being that of a training instructor delivering a lecture on the parts of a rifle. The second voice, which comes in halfway through the fourth line of each stanza, is more lyrical and seems to be that of the recruit, daydreaming about a beloved garden. >What can we say of those DNA analysis? >What value can we give to those controls on material very old? I have to rewrite my message another time! I see that the original correspondents were designing “a map of Europe with all the seamless clothes” they could find. How many more are there, apart from those of Argenteuil and Trier? And what about the lendentuch of Aachen? Thank Providence that the relic collectors seeking to enhance the reputation of all their cathedrals and churches by such a pathetic means never got their grimy hands and scissors near the Shroud. Fragments of it might have been scattered from Moscow to Madrid. The importance of conserving the image is probably what prevailed and saved it from such a fate. what then Eng. G. Fanti did with his controls). 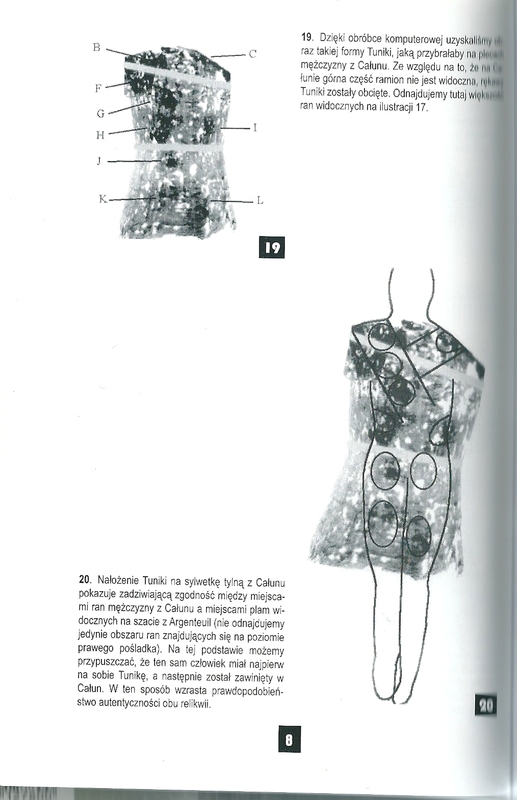 Tunic made of wool) by prof. It seems to me odd that Dr. Raymond N.
Massachusetts Institute of Technology) and Jody Wormhoudt (Aerodyne Research Inc.). 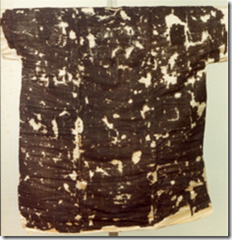 the wool of the Holy Tunic of Argenteuil. instead happened for the Holy Shroud]. or that was stolen and then returned?